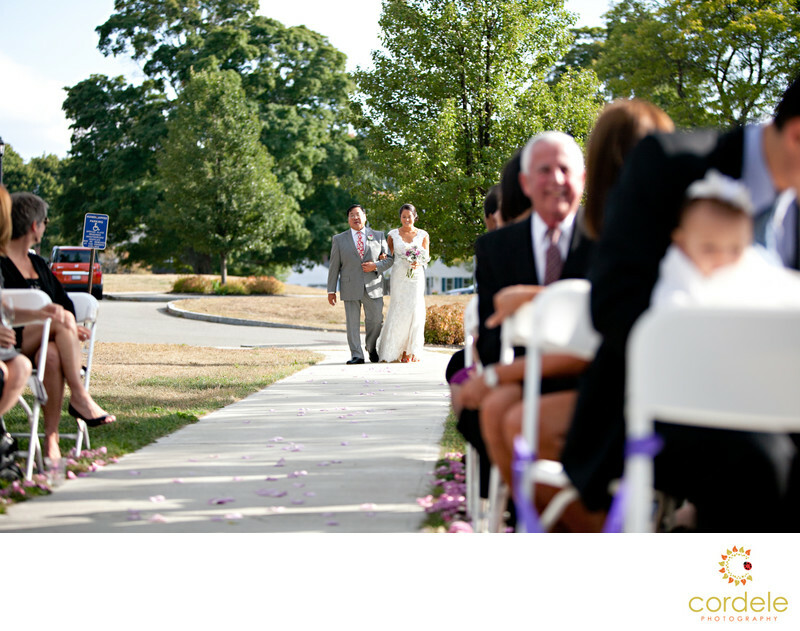 Endicott Estate Weddings are so elegant. Flower Girls can add so much to a wedding and the little one at this one, wasn't so sure she wanted to be the added thing! She was very cautious walking down the aisle. She let the petals go one at a time. The mom is helped her to drop her petals to line the sidewalk for the bride. When the Bride and her dad appear the smile on the brides face was amazing. She loved the laughter of the guests and the way the petals were flowing down the aisle. This petals in this photo will always remind her of how everyone was laughing while she walked down the aisle.